Today I have for you very special project. 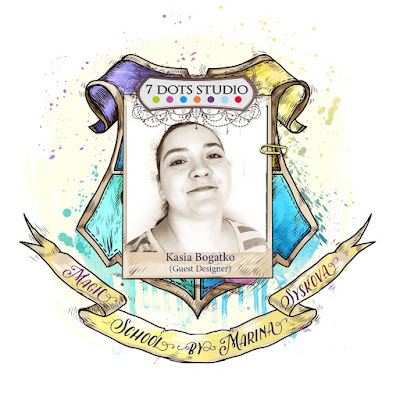 I was invited by Marina Syskova to take part in her Magic School as a Guest Designer. It was a real pleasure to make something for this amazing idea. Thank you Marina for the invitation! I made a mixed media canvas with mists and 7 Dots Studio products. piękna praca :) i świetna kompozycja!